Overcome the flash that involves the return of Jordi Alba to the selection, unknown, absent, the reason for that return as the coach did not want or could not explain what has changed regarding the left side of Barça, a look at the third list of Luis Enrique reaffirms an impression gestated since September. 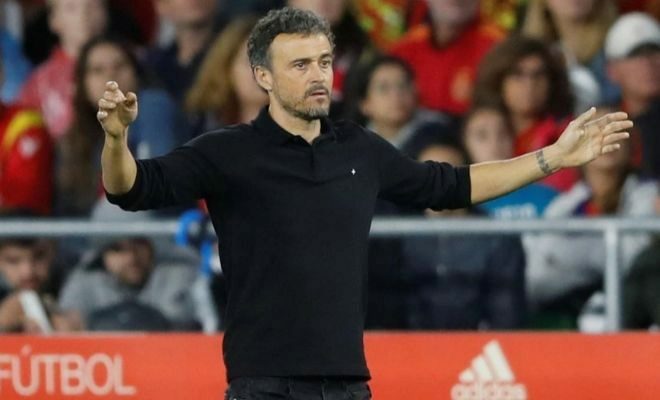 In contrast to Vicente del Bosque and Julen Lopetegui, which are far more predictable, the 23 names that the technician announces through more or less fun videos often lead to a number of surprises. " And in the next ones there will be more, I believe a lot in broadening the base of the national team because that generates competition in the long run," he explained yesterday. From the first to the second, between presences and absences, there were eight changes. But from the second to the one offered yesterday, adding also those that fall and those that arrive, the number shoots up to 12 , thrashed like this: Alba, Diego Llorente, Fornals, Brais Méndez and Mario Hermoso as novelties and Thiago, Nacho, Albiol, Bartra, Marcos Alonso Koke and Alcácer as absences . Only the Bayern midfielder causes injury due to the October citation. And it is precisely the names of the most striking novelties. Except Diego Llorente (who was in September, although injured and only for the first days) and Jordi Alba , the rest did not know what the absolute was. Also striking is the desperate search for a substitute for Piqué. Luis Enrique has changed to three of the four central. Only Sergio Ramos survives . Nacho, Bartra and Albiol give way to Iñigo (forgotten the episode of his non-call in October), Diego Llorente and Mario Hermoso, the Espanyol footballer. With all this, a citation with few precedents flourishes thus, in which 9 of the 23 mentioned (39%) play in teams that are in the second half of the classification. Counting Jonny Otto (Wolverhampton, 10th), on Monday they will arrive at Las Rozas Aspas and Brais Méndez (Celta, 11th), Llorente (Real Sociedad, 13th), Pau López (Betis, 14th), Gayá and Rodrigo (Valencia, 15th) , Fornals (Villarreal, 16th) and Iñigo Martínez (Athletic, 17th). Almost all are found in the definition made by the technician himself. " They are experienced young players who can help us, I see them compete well in their clubs and I'm looking forward to seeing them compete in the national team and more in this game, in a hostile environment and having to win." Because, to all this, Spain must win next Thursday in Croatia if they want to be in the Final Four of the League of Nations. If it does not, it will depend on England-Croatia on Sunday 18.